Save time from visiting the dealership and shop online. Purchase your car right here or schedule a test drive. Get Pre-Approved Online immediately. Financing made easy for you. Get the best return on your trade-in at Bill Luke Tempe. Use our tool to appraise your vehicle. Looking to purchase a New or Used Vehicle? 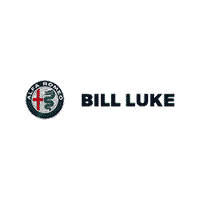 Bill Luke Tempe offers new Alfa Romeo & Fiat vehicles. Alfa Romeo is a luxury style brand received Motor Trends Car of the Year for the 2018 Alfa Romeo Giulia. Now you can amplify your style with the first ever SUV line from Alfa Romeo, the New Alfa Romeo Stelvio. Fiat is a highly known vehicle in Italy with over 9 awards internationally. Fiat is known for there small size compact vehicles, the Fiat 500, but also Fiat 500x(crossover), Fiat 124 Spider, Fiat 500L (crossover), and also the Abarth Package. You can find Bill Luke Tempe off the I-10 freeway and Elliot at the Tempe AutoPlex. We have over 470 Vehicles in stock from New and Used giving you the opportunity to find the right vehicle for your personality. Visit Bill Luke today off I-10 and Elliot.